Serving San Diego County (and then some), Arnett's Plumbing features San Diego's only Noritz tankless water heater showroom. Providing sales, repair, installation, and unmatched customer service, Arnett's is your one stop for efficiently and econimically heating your home. WTH Healthcare Networks, Inc. provides solutions for healthcare and senior living facilities assisting facilities in passing JCAHO inspections with automated reporting of the temperature recording requirements. Finaces At Work shows people how to use their largest asset to the fullest potential. Their system helps empower people to put all of their finances to work and create their own family bank. The system is a safe and conservative method of creating a tax arbitrage on their home. Located in Solana Beach for 28 years, Golden Treasures buys, sells, repairs, and appraises diamonds, jewelry, scrap gold, and watches on site. Located in sunny San Diego, CA, TrueLine Wheel specializes in Wheel Alignment, Brakes Service, Suspension Fabrications and Custom Fabrications on all sorts of vehicles such as Cars, Trucks, RV's, 4x4's and more. 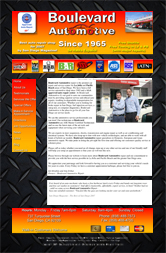 TrueLine works on most automotive vehicles domestic and import. Home Loan Consultants, Inc. is a company dedicated to providing top-notch service and products to their clients and business partners, while maintaining the highest level of integrity and professionalism. HLC's ability to follow a strong code of ethics has helped secure their position as the 2nd Largest Mortgage Company in San Diego, as ranked in 2007, by the San Diego Business Journal. Healthcare Communication Solutions, Inc., a subsidiary of the WTH Healthcare Networks, Inc., provides solutions for healthcare and senior living facilities management. RJC Architects offers expertise in architecture, planning, interiors and program management throughout the entire Southwest. The objective for the design of this web site is to apply strict rules of alignment and proportions while maximizing a sense of elegance and lightness. Top Of The Line Printing & Graphics Service in San Diego, CA, offers a wide variety of options for your print projects including printing business cards, letterheads & specialty projects, all available in 1 & 2 color offset & 4 color process printing. A full service upholstery shop offering a variety of restoration services on automobiles, marine recreation equipment, RV's and home or office furniture. TriTek Telecom is an international dealer and service provider for medical communication equipment in San Diego and the official distributor of Executone products. The web site includes a restricted area only accessable to registered dealers. This ministry assists in creating awareness for the effectiveness of intentional/ministry evangelism. To help congregations assess their communities, working with churches to train and develop intentional strategies in servant/event/street/ministry evangelism. This local business provides framing service and also sells Limited Edition art work. Their pieces are displayed is some of San Diego's finest restaurants. Meridian Baptist is a multicultural Southern Baptist church in El Cajon, CA. This church decided on one of our designs that demonstrated forward thinking by using graceful Flash animation and incorporating a blog to facilitate the pastor's direct interaction with his community. First Baptist Church is a family of believers who hold dear the doctrine of our faith. The Society for Design Administration (SDA), an affiliate of The American Institute of Architects, has promoted education and “best practices” in management and professional standards of design firm administrative personnel. SDA Membership stretches across the United States and Canada and is comprised of personnel in the design profession, including architecture, engineering, construction, landscape and interior design. The Blinded Veterans Association, (BVA), founded in 1945, by 100 war-blinded veterans for the purpose of sharing their experiences with each other, as well as to promote their dignity. The one stop auto shop that will take care of all your car needs. Boulevard Automotive is conveniently located near Pacific Beach and La Jolla in sunny San Diego, California. While you wait, customers receive not only top of the line customer service but red roses and free barbeques on Friday's.